This term Year 4 will be looking at Wild Weather! They will have the opportunity to look at Tsunamis, Volcanoes and Earthquakes!! We were very fortunate to have the opportunity to take part in an exciting school trip to BBC Bristol. The children went into the studio and pretended to be a weatherman, they looked at the BBC studios where Points West is filmed and even got to look at the wonderful BBC gardens. This week children have been writing setting descriptions about volcanoes! 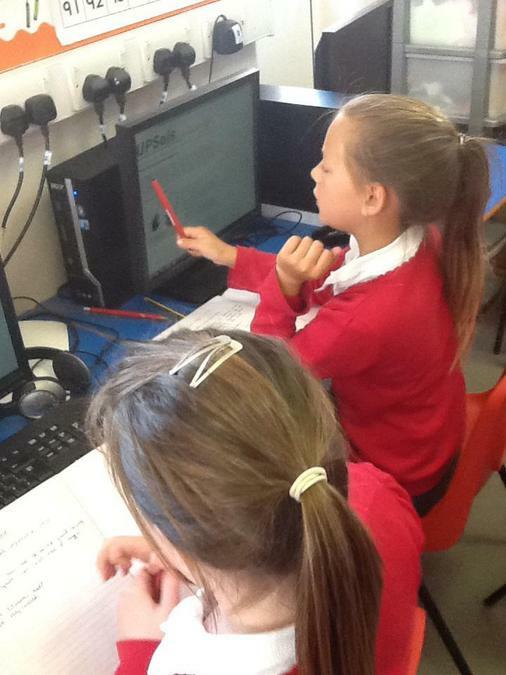 This children wrote some really exciting pieces of work! We were very fortunate to have a visit from Dog's Trust. The children had the opportunity to discuss the importance of keeping dog's safe and how we should look after and approach dogs. This week the children had their parents in for an exciting 'Art Afternoon'. Children taught their parents all the different techniques which they had been learning throughout the term.